Triple Torsion Spring Repair in Decatur. This garage door has had the torsion springs replaced. Typically, garage doors have two torsion springs, while this door has three. This solid wood door is built to stand the test of time, and an extra helper spring helps offset all that extra weight, making sure the door can be lifted manually. 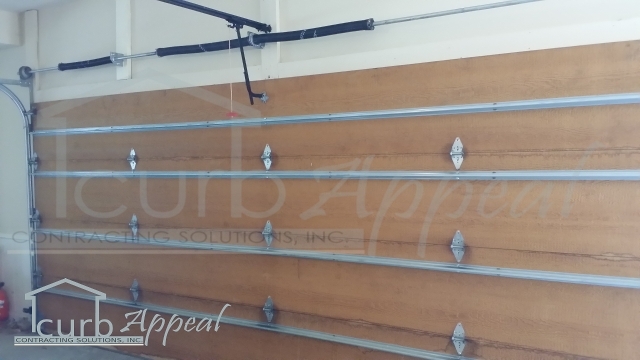 This garage door has an unusual torsion spring system with 3 springs instead of 2. We offer other types of repairs on garage doors, including spring repair, in the Decatur/Atlanta area and the surrounding metro area. Contact us st 678-714-7393, or online to learn more about our garage door services.